Chaupati is one of the famous public beaches adjoining Marine Drive in the Girgaon area of Mumbai, India. 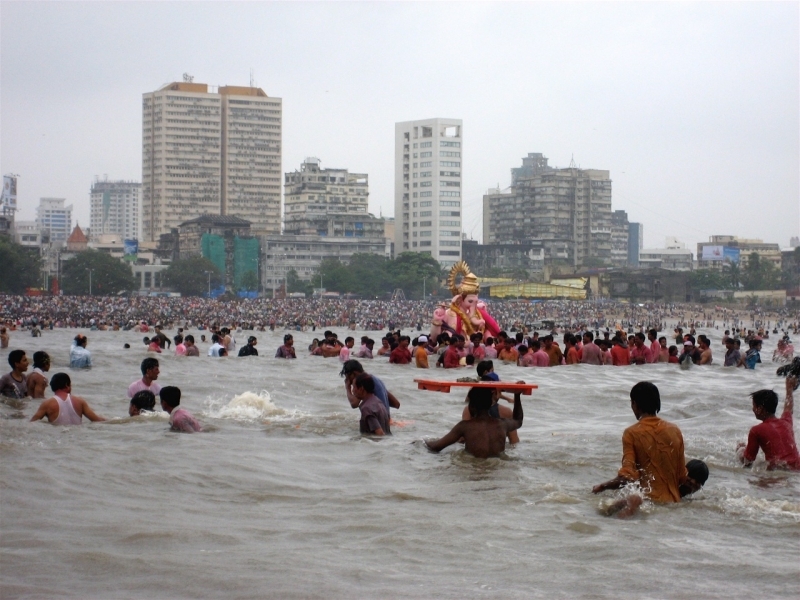 The beach is noted for its Ganesh Visarjan celebrations when thousands of people from all over Mumbai and Pune come to immerse the idols of Lord Ganesh in the Arabian Sea. It is also one of the many places in the city where the 'RAMLILA' is performed on a stage every year. An effigy of Ravan erected on the sand is burnt at the end of the 10-day performance. One can find several bhelpuri, panipuri, ragda patties and pav bhaji vendors on the beach. Been to Chowpatty Beach ? Share your experiences!